March 31 (Bloomberg) -- Somaliland, the breakaway republic in northern Somalia, may double revenue collection this year as it enforces tax compliance among the country’s 40 biggest businesses and richest individuals, the Finance Ministry said. The autonomous region expects government income to total $100 million this year, even after the government slashed tax rates and abolished other levies, Vice Finance Minister Warsame Said Abdi told reporters in the capital, Hargeisa, yesterday. As of Jan. 1, payroll and sales taxes fell to 5 percent from 12 percent, while income taxes dropped to 10 percent from as much as 25 percent, Abdi said. March 31 (Bloomberg) -- The central bank of Somaliland, a breakaway republic in northern Somalia, expects lawmakers to enact a draft banking law by June, enabling commercial lenders to extend credit to borrowers for the first time. Somaliland is in talks with Banque pour le Commerce et l’Industrie, based in neighboring Djibouti, and two other lenders to grant them banking licenses “right away,” Bank of Somaliland Governor Abdi Dirir Abdi said in an interview in the capital, Hargeisa, yesterday. The nation of 3.5 million people currently has no banks. Gordon Brown (U.K.Prime minister), in his speech on the war in Afghanistan last week served up that old truism: failed states are a seedbed for terrorism and establishing democratic elections are the long-term solution. Pity then that this principle is not applied more widely. At least a small part of the future of Africa is being played out in Somaliland, the northwest portion of Somalia that declared its independence in 1991. In its bustling but impoverished capital of Hargeysa, the most striking contrast with most African cities is the sense of order. Police -- who, given their salaries, are almost volunteers -- stand in the hot sun and direct obedient drivers. Money-changers sit on the side of the street with huge piles of cash visible, waiting for customers. The Somali spear is a form of the Cape Assegai. A long, thin, pliant and knotty shaft of the Dibi, Diktab, and Makari trees, is dried, polished, and greased with rancid butter: it is generally of a dull yellow colour, and sometimes bound, as in Arabia, with brass wire for ornament. Lord Anderson of Swansea calls on the international community to recognise the autonomy of the Somaliland region of northern Somalia. The wind of change is howling around the Arab world. Longstanding autocratic presidents are blown away; monarchs seek to make peace with their people by devising constitutions to limit their powers. In this turbulence there is one outstanding and depressing exception Somalia. This essay outlines recent developments in the Horn of Africa with particular focus on the emerging democratic state of Somaliland. It maps out the key political contours of Somaliland and Somalia. In this respect, the implications of recent developments for the international community and multilateral institutions are analysed. Somaliland has shown extraordinary determination to succeed. 'Somaliland' came into being as a British Protectorate in the late 19th century, as treaties of 'protection' were signed with the local Somali clans. Britain had, at this time, two primary objectives in the Horn: first to safeguard the supply of Somali mutton for its recently established garrison at Aden, and secondly in the European scramble for control of this region, following the Egyptian withdrawal, to keep the French out! The most interesting thing about traveling in Somaliland is that you get to see a country in the process of creating itself. When it achieved independence from the rest of Somalia in 1991, there wasn't much to work with. The capital had been destroyed, a large number of people were homeless and without work, and the country wasn't recognized by the outside world. Recognition still hasn't come, but Somalilanders are slowly building their nation. What does opt-out day and intrusive pat downs at the airport have to do with a habit of failed states in the Middle East and the Horn of Africa and one of the most notorious failings of modern American diplomacy? More than you might think. It is the purpose of this short note to examine the root problem of America’s (and the rest of the world’s) approach to dealing with unstable and shaky nation-states, and its consequences for ordinary people with little interest in international affairs and diplomacy who just want to go about their daily lives in peace. Between 1969 and 1991, the corrupt and Communist-dominated dictatorship of Siad Barre ruled over the state of Somalia. Somalia was itself a basketcase of a nation put together between two areas with vastly different colonial histories and cultures: British Somaliland and Italian Somaliland. 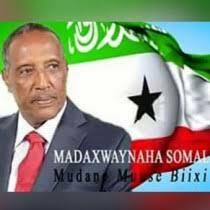 After decades of supporting a corrupt and bloodthirsty dictator who engaged in destructive acts against his own people and destroyed much of the infrastructure of his nation through warfare against separatists, his fall destroyed what little unity the makeshift nation had, leaving Somalia mostly a chaos of private warlords and sharia courts, with the exception of the former British Somaliland, now the de facto state Somaliland, with a functioning democracy and a stable rule of law, and even enough of a naval power (thanks to its port in Berbera) to be a force against Somali pirates. But the most defining and instructive question remains, how have the people of Somaliland built such a stable democracy, society and institutions in a region that has not known peace in nearly two decades? In order to answer this puzzle, it is important to revisit the history of Somaliland. SOMALILAND: Africa's Best Kept Secret. Sida ummadaha kale u qoraan taariikhdooda Somalidu uma badna inay taariikhdeeda qorto sababta oo ah far aynu wax ku qorno oo aan jirin ka hor 1972-kii, oo Dawladii waqtigaas jirtay ay go’aamisey in aynu qaadano xuruufta Latinka. Waxaa la inoo yiqiinay amaba aynu ahayn “oral society”. Xuruuftaas Latinka waxaynu kaga kaaftoonay luqadihii shisheeyaha ahaa ee maamulka xafiisyada iyo saxaafadda loo isticmaali jiray. Hase yeeshee , ma jiraan, hadday jiraana way yaryihiin, qoraallo taariikhiya oo fartaas loo adeegsaday. Qoraalkaygan koobani wuxuu ku saabsan yahay xorayntii Somaliland iyo is-raacii Somalia ee 1960-kii. SOUTH SUDAN chose its new national anthem in democratic style. In a packed concert hall in Juba, the young state’s scruffy capital, rival choirs performed their entries. Purists argued that the winner’s tune did not fit its lyrics. But the decision has laid down one stone on the road to statehood. Less fun lies ahead. Hooking up with the international system’s buried wiring involves gaining everything from telephone dialling codes to internet suffixes, via postal connections, air-traffic control and trade tariffs. SNM: Prof, Ibrahim Maygaag Samatar oo maxaabiis ay SNM dagaaladii 1988-kii ka qabtay Askartii Siyaad Bare, oo lahaa, Askar milatari ah, qaxootiyo la askariyeeyay iyo dadkii kale uu Siyaad Bare soo dagaal galiyay-ba u Qudbadaynaya. Dhuux sida hufan ee Gobanimada leh ee uu Prof. Ibrahim Maygaag Samatar usoo dhawaynayo, waciyiyo, ulana dardaarmayo Maxaabiistaa (iyagu baabiiyay dad shacab ah). Prof, Ibrahim Maygaag Samatar..... *Youtube*.... Ha noolaado kacaanka SNM ayay ku jiibiyaan Maxaabiistu iyaga oo mabsuud ah. *Daawasho fiican*...... Boobe Yuusuf Ducaale ayaa daadihinaya Barnaamijka! Movement for an Independent Somaliland: The History of Somaliland! The United States should grant recognition to Somaliland. Nearly 20 years ago, Somaliland, a Florida-sized region of northwest Somalia once known as British Somaliland, declared its independence from Somalia. In the years since, Somaliland has emerged as a stable, democratic state that provides a measure of international security in a region overrun with pirates and transnational terrorists. Yet, no state or international body recognizes Somaliland's independence. Instead, the international community is content with the fiction that Somalia remains a unified state. Somalia's health care system was utterly destroyed by the civil war leaving the country with,among other problems, the highest rate of maternal and infant mortality in the world. A Somali woman gives birth to an average of 6 children during her life time. 14 in every 1000 women die due to complications related to child birth. One in 4 women were attended during pregnancy at least once by skilled health personnel (doctors, nurses or midwives). About a third (33%) of births are delivered by skilled personnel. i.Peaceful development through formal inclusion of traditional roles and relationships of Government and local communities in majority ownership of the J.V. ii.Financial development for supportive and essential community needs and exploration works through fund raising with International Investors. iii.Economic recognition through internationally traded equity in the J.V. Abwaan Maxamad Ibraahim Warsame ''Hadraawi'' iyo qaybtii 2-aad ee waraysi ay BBC-Somali dhawaan la yeelatay!............ * Video*..... Daawo. Ayadi Ibrahim and Kassim Wais, two young Somalilanders from Toronto, highlight challenges in national security, foreign policy, creating more robust economy and developing governmental institutions. This is well-constructed analysis offers insight how to approach challenges of our time. Somaliland celebrates its 20th anniversary of independence this year. This is a momentous and joyous occasion for our people. This is an important milestone; we have been able to accomplish many goals with little or no assistance from the international community and this something that we must be proud of. However, it is important to note that while we have accomplished many goals we have also endured much heartache and encountered many challenges on our road to independence. The Republic of Somaliland declared independence from Somalia in 1991 after years of war had culminated in the overthrow of the Somali dictator Siyad Barre. Since then Somaliland has proven the most stable entity in the Somali region. Despite setbacks during two internal wars in 1992 and 1994-96, Somaliland has also been one of the most peaceful places in the Horn of Africa. A lengthy self-financed process of clan reconciliation in the early 1990s led to a power-sharing government. This has provided an important base for Somaliland’s enduring political stability and for its reconstruction and development. SSC- Objectively Defined: A well armed and fierce political-military organization. Acronym: SSC; Sool, Sanaag and Cayn, two regions and one district considered alternatively within Somaliland/Somalia/Puntland state borders; but also tribal homeland for the members of SSC . Objectives: Liberation of the land of Dhulbante people from occupation by Isaak tribes by force; overcoming the neglect of Puntland State by creating an exclusively tribal homeland defended by an armed force independent from all other interests except that of the tribe. Founded: in Nairobi, Kenya in Oct 2009 by a predominantly Diaspora based Somali intellectuals. Leadership of the organization: known as “Hogaanka Badbaadada iyo Midaynta-SSC.” Acronym: HBM-SSC; roughly translated as the council for unity and salvation. Funded and armed primarily by Diaspora based Somalis who believe in its cause and by those who have a vested interest in seeing the fall and dismemberment of Somaliland. Leader: Saleebaan Ciise Ahmed(Xaglatoosiye) A Somali-American. Deputy leader and Military Commander: Colonel Ali Hassan Sabarey a Somali Canadian. This paper examines the case of Somaliland as a unique example of state building without external assistance and assesses the effect of a lack of outside financial support on the incentives of internal political actors. It challenges the notion that international aid is always positive in impact and should be of interest to those involved in Somalia and Somaliland issues, as well as those working in the wider field of aid effectiveness. Somaliland: Past, Present and Future Part 1.........................Part9.........?. Melelaos Agaloglou introduces his series analysing historical and contemporary issues surrounding the unrecognised state of Somaliland. Currently living in Hargeisa, its capital, his pieces on Somaliland provide an in-depth, extensively-researched insight into the past, present and future potential of the country, and its place in the world. (Here below you can see the other parts).